Assistant Professor of English Literature Sarah Hogan will deliver a lecture for the Wake Forest Humanities Institute on Monday, April 16, titled “Early English Utopias and the Capitalist-Imperialist Imaginary.” Drawing upon research from her forthcoming book, Professor Hogan will discuss how utopian authors from Thomas More to John Milton variously reimagined the socio-economic crises and world-changing transitions of the sixteenth and seventeenth centuries. 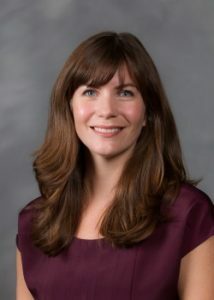 Hogan’s talk will take place in DeTamble Auditorium (A110 Tribble Hall) on Monday, April 16 at 4 p.m.
Sarah Hogan is an Assistant Professor in the English Department at Wake Forest University. 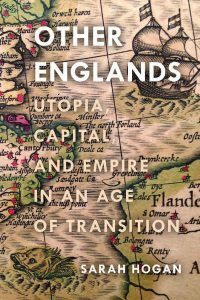 She is the author of Other Englands: Utopia, Capital, and Empire in an Age of Transition, a forthcoming monograph of literary criticism from Stanford University Press (May 2018). Her writing on historical, lived, and literary utopias has also appeared in The Journal of Medieval and Early Modern Studies, The Journal of Early Modern Cultural Studies, Upstart: A Journal of English Renaissance Studies, The Rumpus, and The Collagist.